« SKYHOUSE: One more oneiric playground penthouse for who can afford it. 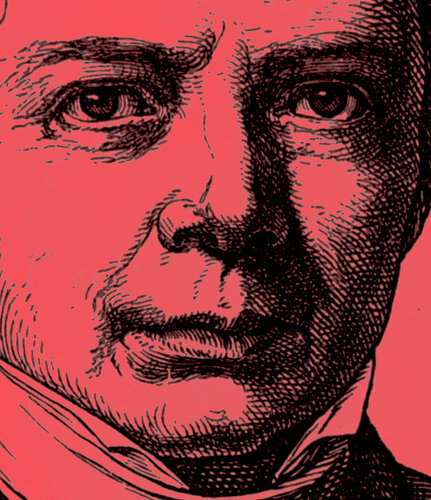 Existential angst: The German idealist philosopher Friedrich Schelling, circa 1820. Most works in philosophy enter the world quietly, but not Thomas Nagel’s recent “Mind and Cosmos.” With its chin-leading subtitle, “Why the Materialist Neo-Darwinian Conception of Nature Is Almost Certainly False,” the slim volume met with a firestorm of indignation from critics who thought Nagel had lost his mind or, worse, had thrown in with intelligent design theory. (Steven Pinker tweeted: “What has gotten into Thomas Nagel? . . . a once-great thinker.”) What incited the reaction was Nagel’s questioning whether advances in neuroscience are on the verge of resolving the mysteries of consciousness, and with it issues that have fueled philosophical speculation for centuries, from subjectivity to free will. Rather like Nagel, but angrier, is the novelist and critic Curtis White. Though neither a research scientist nor a trained philosopher, he is infuriated by the sunny confidence of neuroscience, arguing that it is not just a product of ambitious overreach but, more, a willful act of arrogance. In his rambling book “The Science Delusion,” he writes that the coming battle in this neo-Darwinian culture war will be an all-out assault against imagination by scientists and popular science journalists: “Freed at last from the limits imposed by religion, science has extended its ambitions beyond the debunking of Christian dogma. It has now turned its attention to another old competitor, the secular world of the humanities and the arts.” This may come as news to some of White’s would-be shock troops, who generally haven’t announced their hostile intentions to art and the imagination, but White sees their pernicious effects spreading across contemporary American life.